A Texas nonprofit organization supporting blind and visually impaired children, their families, and their teachers since 2004. 9,000. That's the approximate number of legally blind children in Texas. All Blind Children of Texas is a resource for the optimal physical, mental, emotional and social development of all blind children of Texas. ABCTX screens, funds and facilitates their participation in programs, activities, events and projects designed by their Teacher of the Visually Impaired (TVI) that provide hands-on learning experiences that help to master the skills needed to work alongside sighted peers. AMPLIFY AUSTIN 2019 WAS HERE!! Thanks to all of you who made donations!! ABCTX depends on your generosity and kindness to serve teachers and students in Texas. Expected Outcomes: Students participating in this activity will have an opportunity to use their auditory, tactual and existing visual skills to produce a work of art that they will be able to hang in their own homes. Students will receive instruction on use and placement of color from a certified Art instructor. 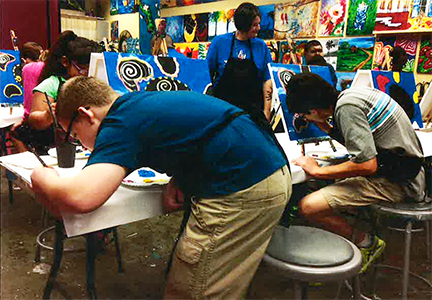 Not all students currently enjoy the benefits of a weekly art class, so this will be a good, specifically designed, hands-on fine Arts program. After the instructional time, we will proceed to a restaurant where the students can practice money management, tip calculation, etc to enjoy a meal together. Program Report: 18 children of various ages participated. 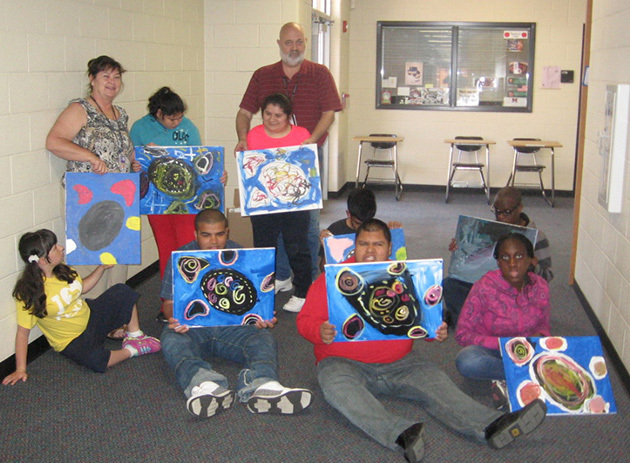 Not only did we use the Painting with a Twist activity to further the student's artistic expression, we also used it to help develop other ECC goals such as organization, money management, restaurant (buffet) protocol, participation as a group member, and use of low vision technology. See the complete report here. Christine Golden has been an active volunteer at Texas School for the Blind and Visually Impaired since February 2013. Christine’s passion for helping visually impaired kids stems from her father, who was born with glaucoma and, despite spending most of his life completely blind, earned a PhD and is a college professor. Christine’s experience growing up with a blind parent helps her relate to the kids with whom she volunteers. Christine’s goal as the newest board member of ABCTX is to see that more visually impaired kids reach their full potential. Christine earned her B.B.A. from the University of North Texas in Denton, but is proud to call Austin home. 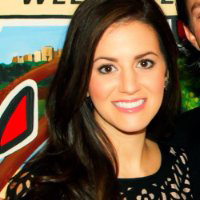 She works full time at an Austin-based tech company, focusing on marketing and online merchandising. When she’s not working or volunteering, she enjoys spending time with her family, cooking, being outdoors, and traveling.